Inna Aniskina presented an aerial solo act on the ring/hoop. 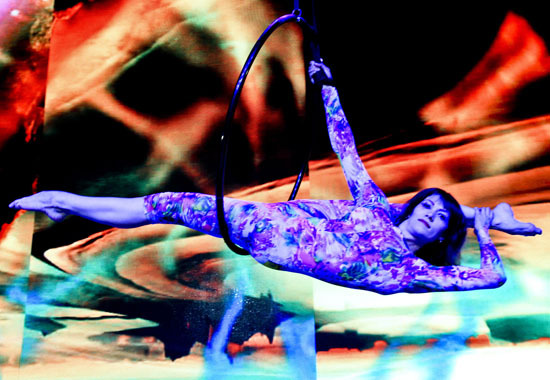 Hoop solo is a wonderfully exciting an act, a piece of circus and visual arts. In her aerial act Inna presents a mixture of contortion, flexibility, power and amazing tricks. She has mixed these difficult talents with agility, grace and elegance of performance.